Just because it's winter doesn't mean fashion can't be fun. Winter consists of bundling up and layering and that just means you have more options to play with colors and prints. 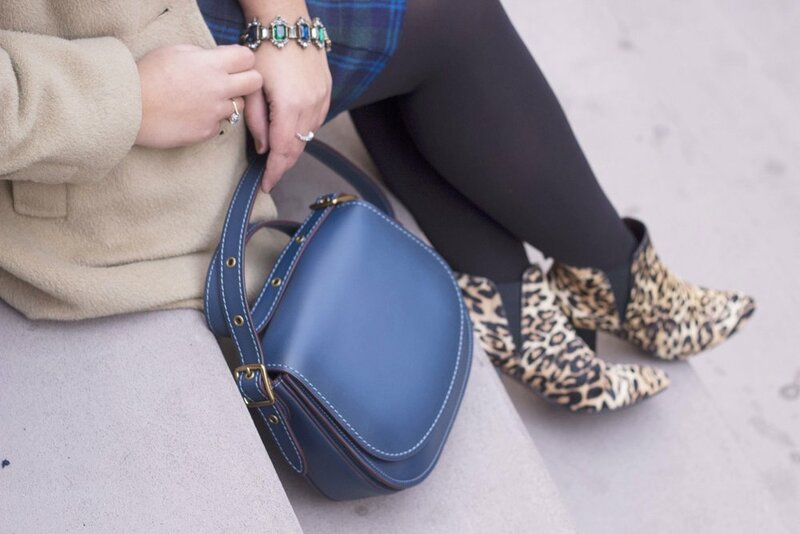 My favorite prints to mix together are plaid and cheetah! Both prints are bold and perfect to wear in winter. I layered a strapless plaid wool dress with a simple white t-shirt. An easy way to take a dress and wear it in the winter is layering a shirt under it! It's simple and totally works! 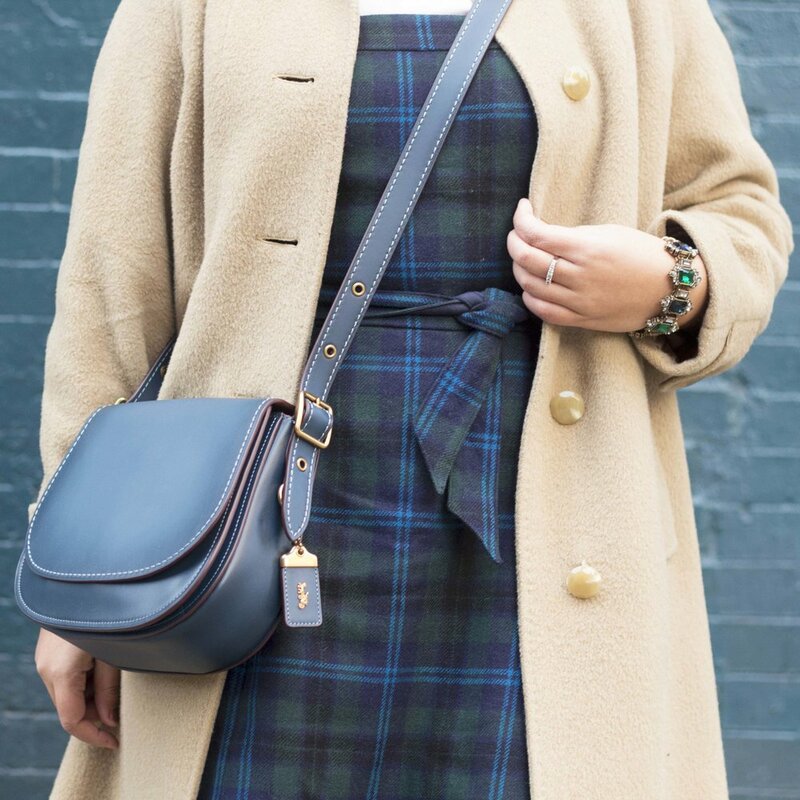 I added my favorite camel coat and the perfect blue saddle crossbody bag to finish the look. Winter is rough out here on the East coast! It's hard to stay fashionable and cute while it's freezing cold but these 5 pieces will definitely help you stay warm while still looking stylish. Camel coat: it's a great neutral color that goes with everything! Plus it's not as boring as the average black. Chunky turtleneck: it's super comfy, keeps you warm, and the chunkiness keeps it looking modern and fabulous. Stick with a neutral color like greys, beige, and blacks. It will go with much more in your wardrobe. Ankle boots: whether they have a heel or are flat, ankle boots and easy to slip on and look great with pants or skirts. A great pair of booties are a must for winter!